For the graduation ceremony of Zuzana's University degree, We had to pick a nice location. 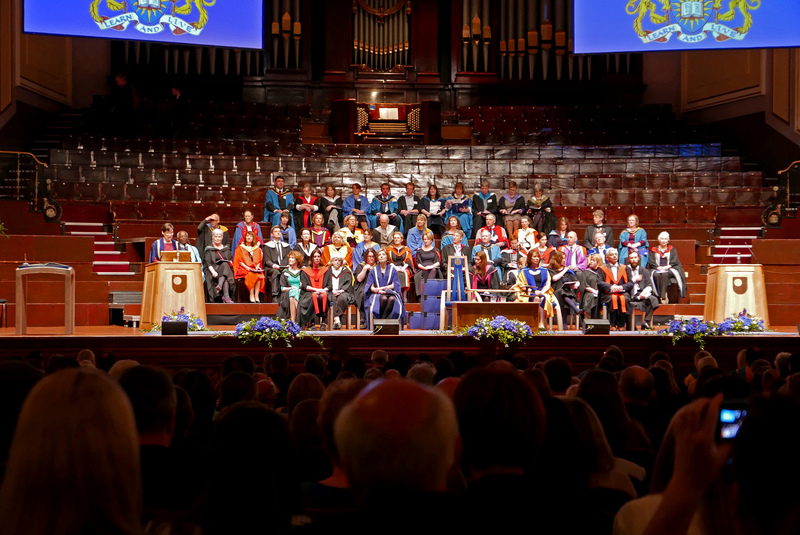 All options considered, Edinburgh turned out to be the best. We spent a nice long weekend exploring the city, celebrating, and eating lovely food. We enjoyed our easy flight from Amsterdam to Edinburgh, as our discomfort was limited. I prefer to book flights with KLM, as I like to have some legroom on airplanes. There were lots of cheaper flights, but they tend to be very painful for my long legs. Edinburgh airport was nice and small. We didn’t have to wait much for our luggage, and the city was reached easily by the brand new light rail train. 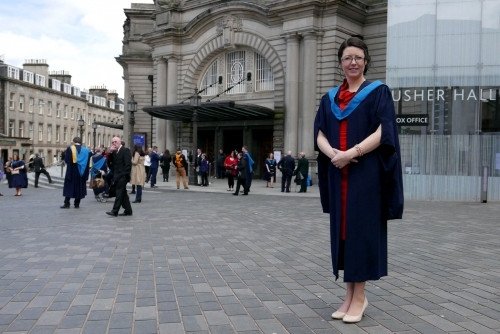 Our primary reason for coming to Edinburgh was Zuzana’s Open University graduation ceremony. The event was held at the beautiful Usher Hall in proper Scottish fashion. After the ceremony we went to the little French restaurant ‘Petit Paris‘ to have a wonderful celebratory dinner. 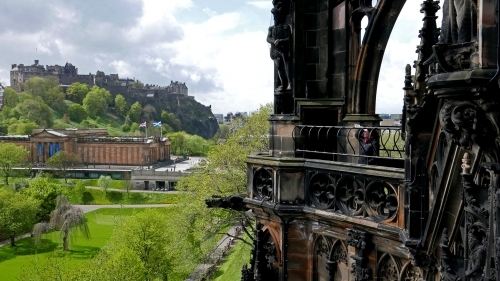 What should you be doing when in Edinburgh? Apart from having a great time, here are a few things I enjoyed. 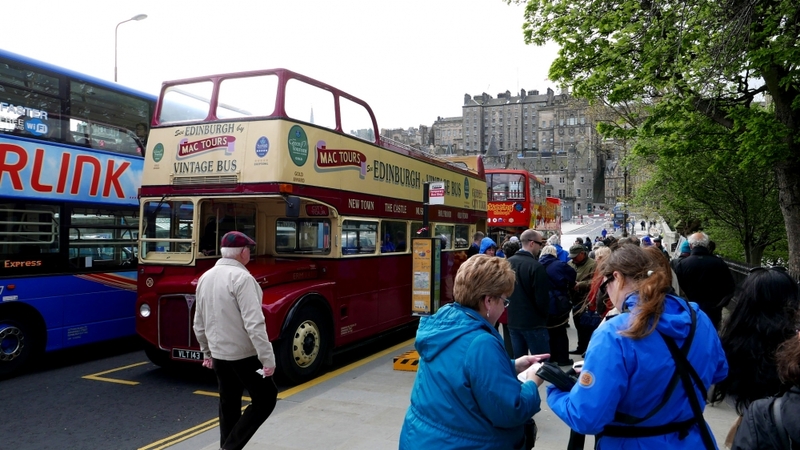 A bus tour is a great way to start any city trip. All cities have them. And they take you around the most interesting sights. We actually took one on the day we were leaving, but it served as a reminder that we didn’t miss anything. 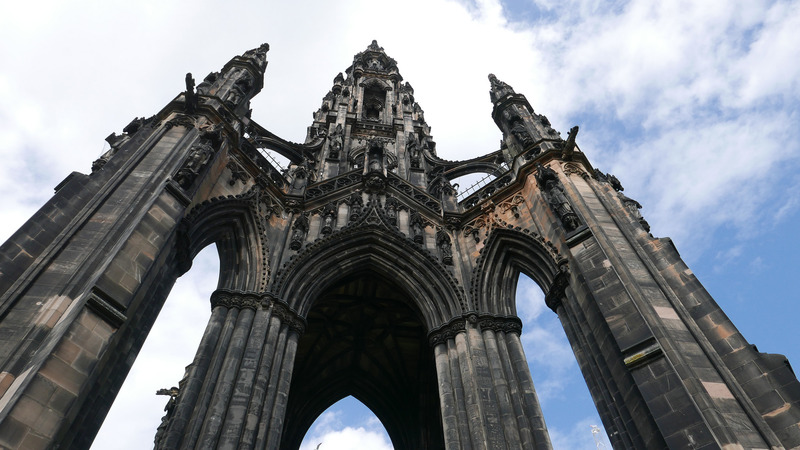 The Scott Monument is a massive Victorian Gothic monument to Scottish author Sir Walter Scott. After passing this massive monument for the fourth time (it was between our hotel and the city centre), we discovered we could actually climb to the top. It’s well worth the expense. The views from the top a really amazing. Just make sure you’re not claustrophobic, or that it’s not too busy. The stairwells are extremely cramped, with no space to let anyone pass. You might have to go back up a few times. 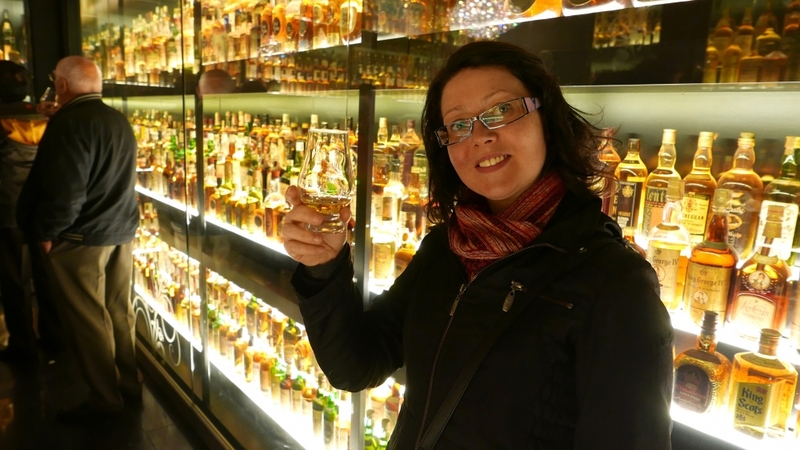 Instead of spending our money seeing the inside of the Castle, a wise person suggested we go to the Whisky experience instead. It’s right next door, and more fun. It sure was. After having a fun discussing with the shop staff whether a certain Wisky glass was really crystal, or just glass (lots of confusion ensued), we entered the Whisky experience. It’s a lovely litle attraction, where you travel in a little barrel shaped train and see the process of how Whisky is made. 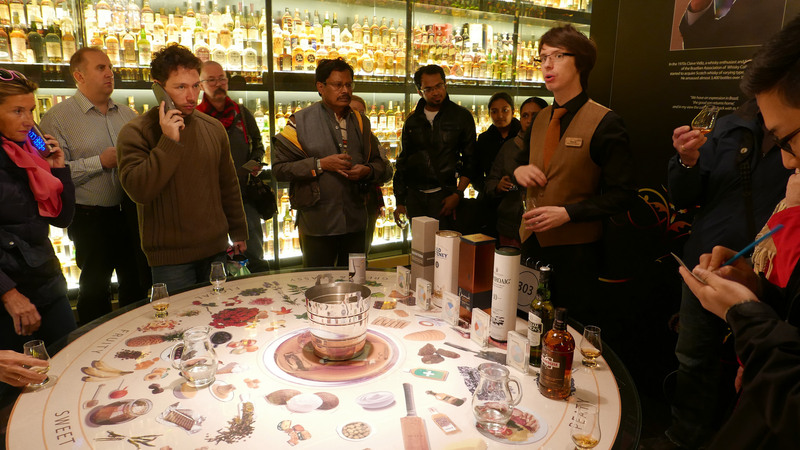 At the end there was an explanation of how to spot different whisky’s , and we took a stroll around the world’s largest Whisky collection (whilst consuming our chosen tasty beverage, in a free glass/crystal cup). 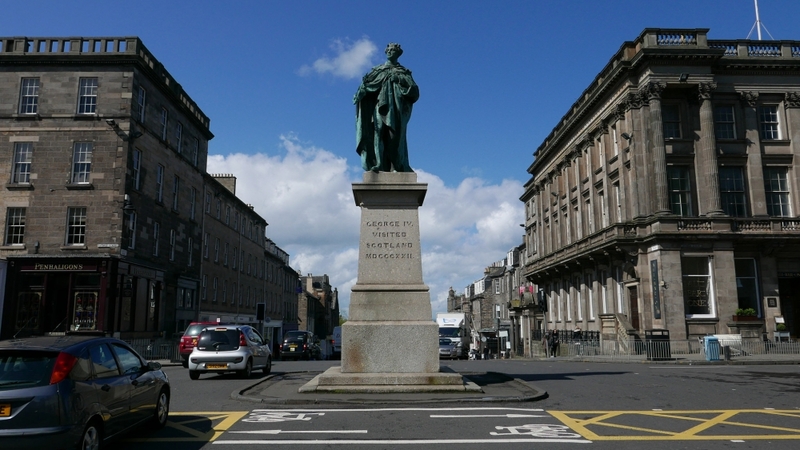 Most of the higher end shops were situated in George street, which was a convenient 2 minute walk from our hotel. We didn’t really care for those shops though, as we made a beeline for the bookshop. I love English book shops, and really miss the very limited selection of English books in the Netherlands. Everytime I come to the UK, I make sure I have a list. 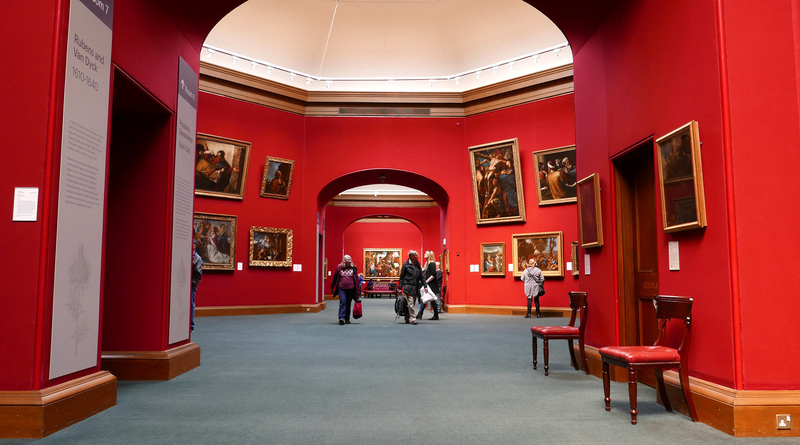 Admission to Museums in Great Britain tends to be free. A fact the Dutchman in me enjoys immensely. 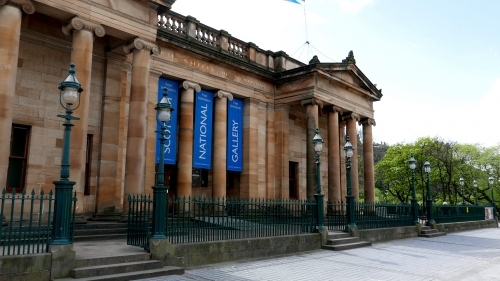 It does make it easier to just visit any, or museums that you normally wouldn’t enter. We visited the Scottish National Gallery and saw some great Scottish paintings (You had to look around the Dutch masters though. They occupied half the building). You can let yourself go in the fancier restaurants, or just go for the proper pub experience off the royal mile. It’s all good. Or perhaps, take a side street and end up in a tiny tiny pub and have some Whisky. 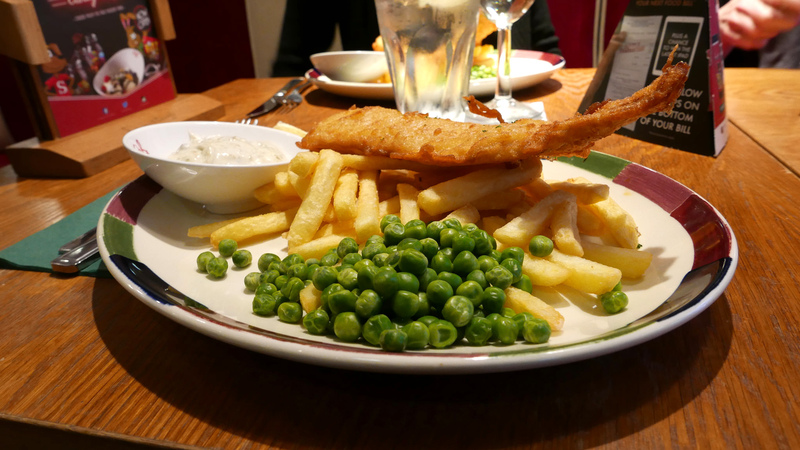 I’m a fan of British pub food, and Edinburgh is the place to be if you enjoy that sort of thing. 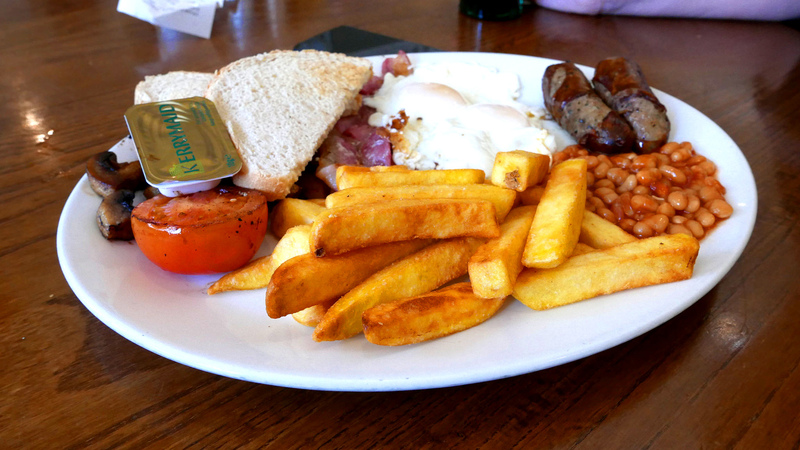 We tried the haggis too, and it was surprisingly palatable. There’s no way I wouldn’t enjoy a visit to England, but Edinburgh is an absolute gem. It’s a very tourist-friendly place, and there’s lots to explore.